So that's it then for the next four weeks at least. As already mentioned to you in my windmill post I will be without my trusted Janome for several weeks during building works. And because I don't want to bore everybody senseless with posts about mundane things such as the progress or -non progress of the renovation work I will keep stumm until it is all sorted and will instead put all my energy in hand quilting this beauty here. Thank you so much for all your helpful tips on my Hexagon quilt. And by the time I am back this quilt will hopefully be finished and ready to share with you. Ohhhh I just love it! Beautiful, enjoy your hand piecing! Good luck with the works, mine start next week too. Maybe meet up for coffee and some eep? 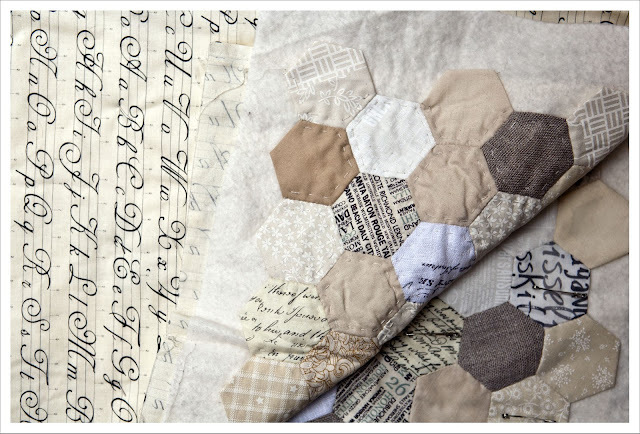 OMGosh, that hexie quilt is gorgeous. Good luck on the renovations. Good luck with the reno. Do you have some ear plugs? Good luck with the renos. I do like a good reveal of new rooms though. 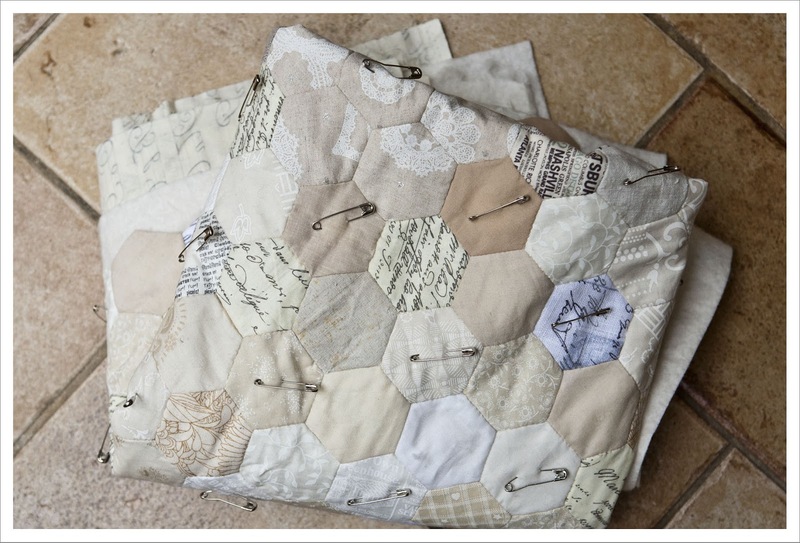 Your hexie quilt is lovely.